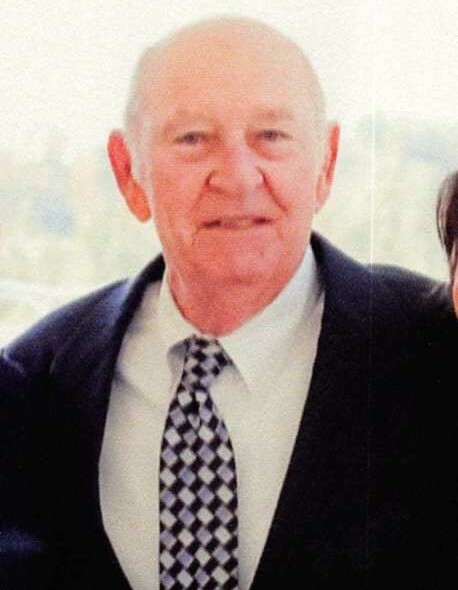 Crawfordville, GA- Mr. Bobby Glynn Fennell, 75, of Jordan Place Rd. entered into rest March 24, 2018 at University Hospital, Augusta. Mr. Fennell was born in Wadley, GA to the late Vernon Fennell and the late Edna Watkins Fennell. He served in the U. S. Air Force and was a member of the American Legion Post 0008. Mr. Fennell worked with the Georgia State Patrol where he was stationed in Americus, Washington, Madison, Columbus, and retired from the Thomson Post as a Master Trooper with over 30 years of service. He enjoyed doing construction, plumbing and electrical projects, gardening, making pottery and tending his vineyard. He was a member of the Andrew Wolihin Masonic Lodge #132 in Crawfordville, and the Lafayette Masonic Lodge #23 in Washington. Mr. Fennell was also a member of Margaret’s Grove Baptist Church where he served as a deacon. In addition to his parents, he was predeceased by his brother, Melvin Fennell; sister, Ann Clemmons and his beloved dog, Hank Beauregard Cephus 501. Survivors include his beloved wife, Ellen Fennell; son, Ron Fennell (Theresa) of Arkansas; daughter, Donna Fennell-Reeves (Lee) of Millen, GA; sister, Pat Kearney (Robert) of Flowery Branch, GA; grandchildren, Jake Fennell, Zach Reeves, Riley Reeves, Margaret Armour (Kelly), Mary Kate Dauler (Trent), Madeline Callaway (Greg) and 4 great grandchildren. Funeral services will be held at 11:00 a.m., Wednesday, March 28, 2018 at Margaret’s Grove Baptist Church, Crawfordville, GA with Rev. Albert Stroup officiating. Interment will follow in the church cemetery. Memorial contributions may be made to Helping Hands Humane Society, P.O. Box 112, Crawfordville, GA 30631. The family will receive friends from 5 until 7 p.m., Tuesday at the funeral home.